DIXON — Neil and Melanie Tate of York Springs, Pennsylvania, are happy to announce the engagement of their daughter, Alexis Tate, to Riley Morigeau, son of Shawn and Kelly Morigeau of Dixon. Alexis graduated from Bermudian Springs High School in 2013 and is currently attending the University of Montana studying wildlife biology. The groom-to-be is a 2011 graduate of Powell County High School. He is currently attending the University of Montana studying photojournalism and Native American studies. 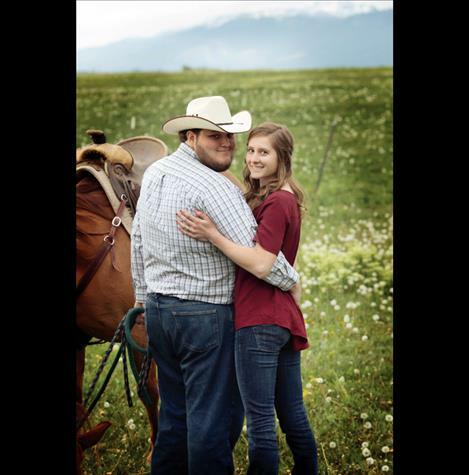 The couple plans a May 20, 2017, wedding at the Diamond B Ranch in Kalispell.